Based on years of experience searching for the best solutions for our customers, Almac is best placed to recommend temperature monitors to suit the needs of your clinical and commercial shipments. Our core focus is to ensure that you have full visibility of your product’s supply chain, from manufacture through to patient administration. With that in mind, the iTag4 monitor (detailed below) is available at Almac and, as well as other monitor brands available on the market, can be easily integrated with our next generation innovation, TempEZ™. This ensures that all of your temperature data, for all your products and shipments, regardless of the type of monitor you choose, is available in one place. Learn from our years of experience. 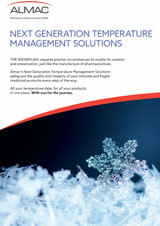 Access our Temperature Management library today. TempEZ™ offers full visibility of your temperature data from any stakeholder within your clinical or commercial supply chain including numerous temperature monitor brands. Almac are first to market a single platform that links data from a monitor, shipment, drug product and stability data while providing a quality approved process for controlled adjudication and excursion decisions. At Almac we understand your temperature control challenges. Our experts have developed an end to end regulatory compliant solution giving you full visibility of your temperature data on a single platform. Almac has a suite of temperature management services to optimize temperature management, for investigational and commercial products including, adjudications of in-transit and clinical site excursions, management of site compliance of shipments, management of compliance of sites and comprehensive GDP monitoring. 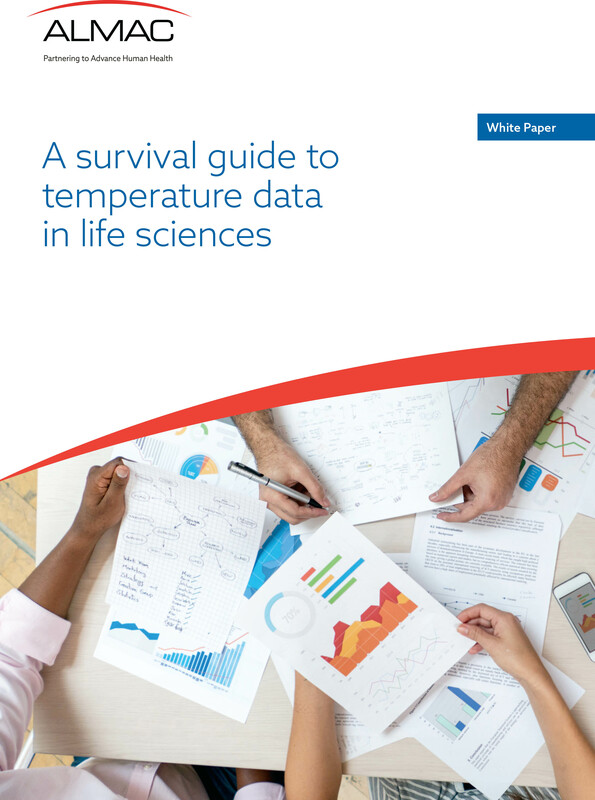 With temperature controlled shipments continuing to increase, so have the regulatory demands of operational pressures on temperature management of investigational and commercial products. 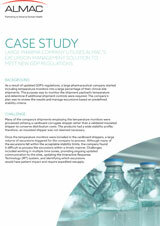 We provide a flexible and convenience solution, ensuring GDP and GCP compliance. As the pharmaceutical industry is heavily regulated, the demand for quality and sound data collection is highly recognized across all companies. Now is the time for your company to take control of your temperature and stability data. Find out how in this informative white paper. In line with GDP guidelines our exclusive to Almac, temperature controlled shipping solution, the Almac Pod™, offers a Protected, Optimized and Dynamic solution that safeguards customers’ product and mitigates against temperature excursions of all clinical shipments with advanced phase change technology – the perfect solution for Biologics or difficult to handle products. 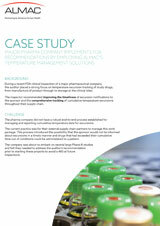 Download our case study to find out how the Almac Clinical Services team and Almac’s industry leading software, TempEZ™, intervened and drastically improved the sponsor’s temperature data collection. 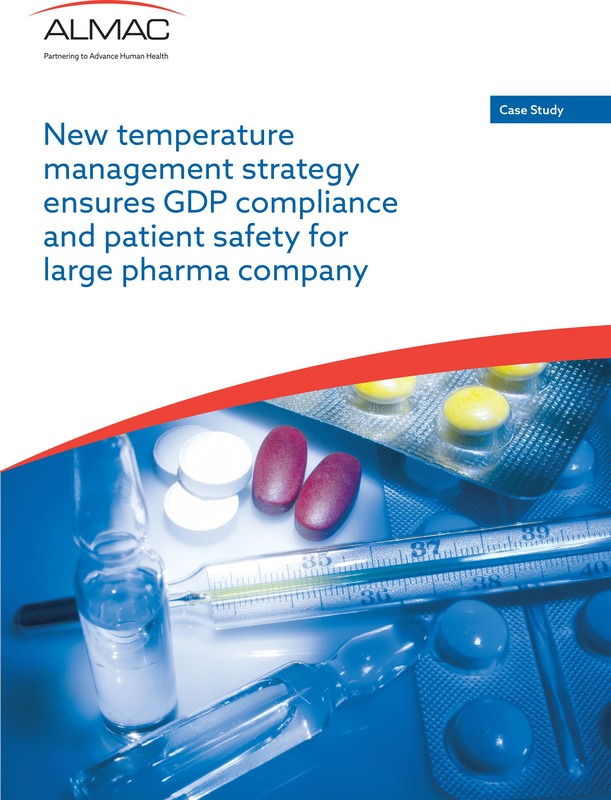 As a result of updated GDP’s regulations, a large pharmaceutical company started including temperature monitors into a large percentage of their clinical site shipments. The purpose was to monitor the shipment payload’s temperature and determine if additional shipment controls were required. The company’s plan was to review the results and manage excursions based on predefined stability criteria. During a recent FDA clinical inspection of a major pharmaceutical company, the auditor placed a strong focus on temperature excursion tracking of study drugs, from manufacture of product through to storage at the clinical sites. The inspector recommended improving the timelines of excursion notifications to the sponsor and the comprehensive tracking of cumulative temperature excursions throughout their supply chain. Almac Group and Pharma Logistics IQ proudly present the findings of their 2016 Temperature Controlled Logistics: Strategies for the Future report, examining the future of the pharma cold chain logistics industry. 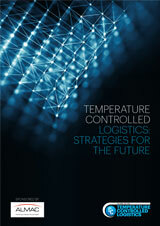 • How important is it to strive towards being future proof as a temperature controlled logistics organization? • What area will be the most damaging to your firm if you don’t adapt and innovate quickly? • What are investment plans over the next 12 months for optimizing temperature controlled logistics? This webinar provides an overview on how you can develop best practice and implement temperature management processes that will drive down/eliminate excursions, improve supply to patients and provide a better global supply chain for the benefits of all. 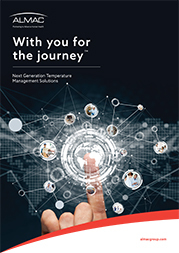 Almac’s Next Generation Temperature Management Solutions is a flexible portfolio of software, services and products, developed using our years of pharmaceutical and logistics experience. These solutions safeguard the quality and integrity of your intricate and fragile medicinal products, every step of the way. At Almac we understand the need for tailored and innovative solutions to safeguard your global clinical trial with assurance and reliability. 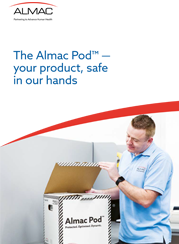 The Almac Pod™ is an exclusive to Almac, superior shipper that delivers a Protected, Optimized and Dynamic temperature controlled shipping solution. The Almac Pod™ offers enhanced protection for your clinical shipments and is supported by advanced technology – the perfect solution for Biologics or difficult to handle products. 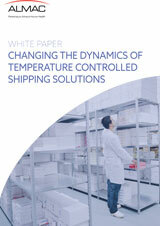 Shipments may experience a range of temperature effects that can impact the stability of a product, leading to temperature excursions that cause the product to become unfit for patient administration. Steps must therefore be taken to reduce the risk of these and to have the data to support adjudication of the product. 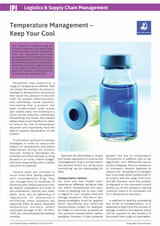 Learn more about these necessary steps in our informative ‘Temperature Management – Keep your Cool’ article, written by Almac’s Heather Bogle, which was recently published in the IPI (International Pharmaceutical Industry) magazine.